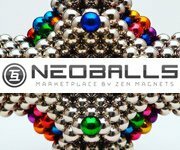 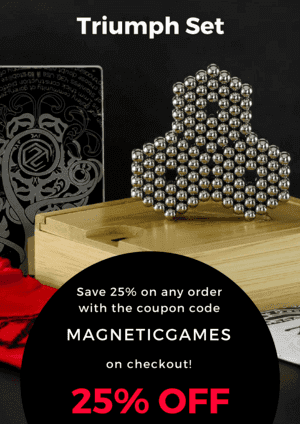 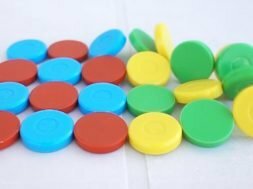 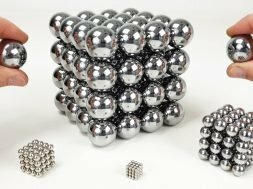 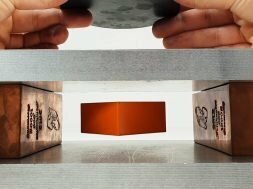 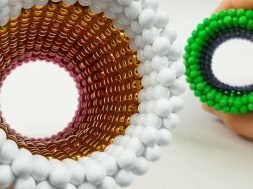 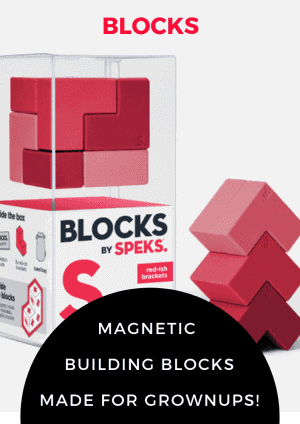 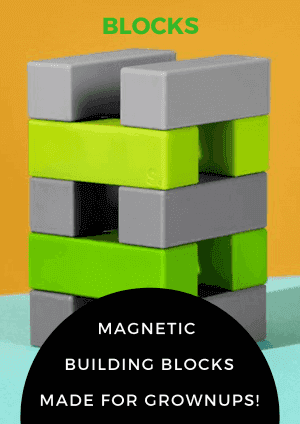 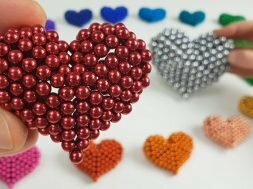 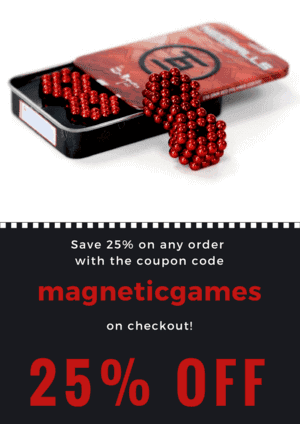 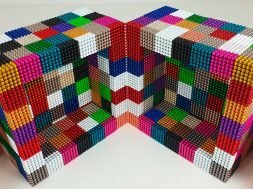 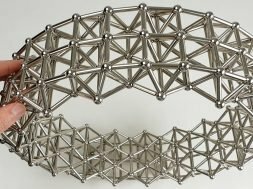 Here is another hybrid magnetic sculpture, magnets with a sphere and cube shape mixed together give the possibility to build the most varied geometric shapes. 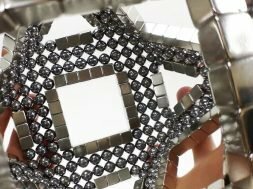 And here is the cuboctaerdro, a solid consisting of 6 square faces and 8 triangular faces. 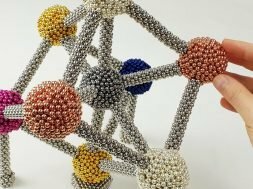 Of course you can make it with magnets of different sizes, but in this video I used the 10mm ones provided by Supermagnete.com. 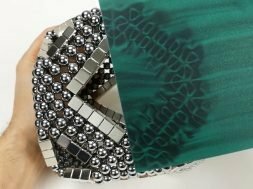 The Flux Detector (the green sheet in the video) is always useful to see the shape of the magnetic fields.